Posted October 15, 2014 by Malcolm Stewart & filed under Exclusives. 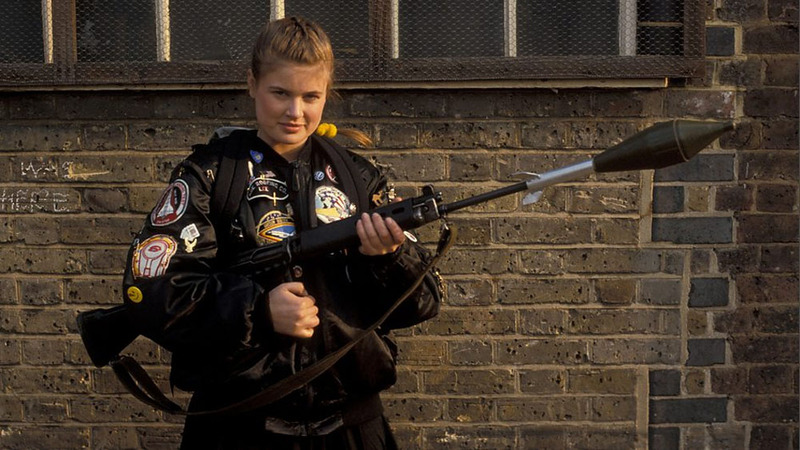 Sophie Aldred, who played ’80s companion Ace in Doctor Who, stars alongside Carol Cleveland (Monty Python), Tom Price (Torchwood) and Chase Masterson (Star Trek: Deep Space 9) in new sci-fi comedy, The Search for Simon. 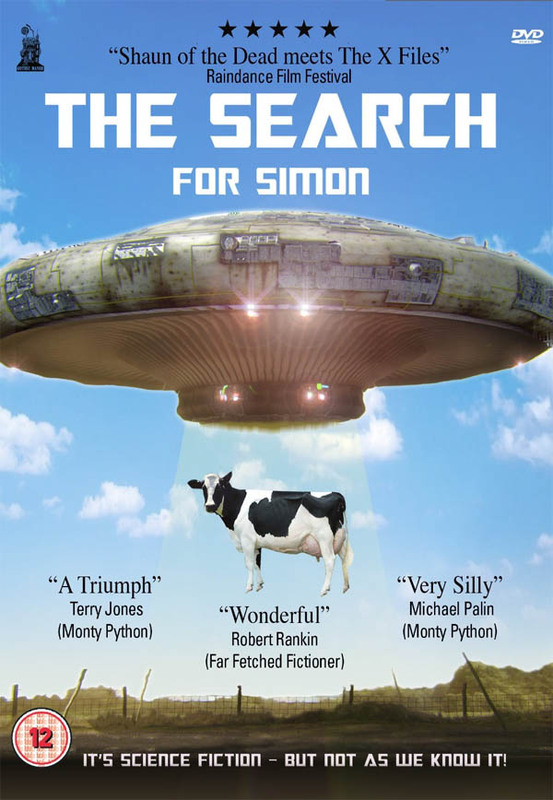 Out on DVD this week, The Search for Simon follows 39 year David’s search for his younger brother Simon, who, at the age of 7 (ish) in 1979, disappeared, due to a perceived alien abduction. After all, his Dad did tell him that he had been. Let’s talk about The Search for Simon. For those who haven’t seen it, the marketing builds it as a comedy in the vein of Shaun of the Dead. So how much of it is spoof and how much genuine sci-fi story? So the brother who’s missing is Simon Jones, and then acting in it from Hitchhikers is Simon Jones. It sounds a bit meta-fictional. Is that relevant or just a comic twist? Does the ex-girlfriend have anything to fear from the characterisation? Were you involved early on, in early development? 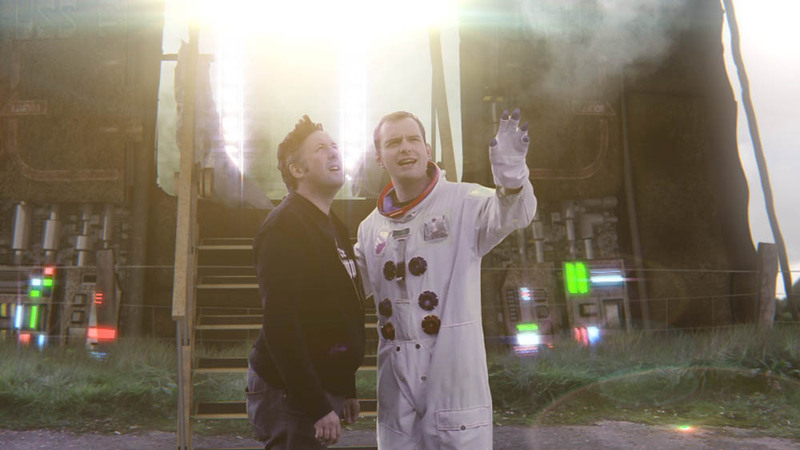 The Search for Simon was a crowd-funded production. Do you think that’s the future for independent film-making? And I suppose for you – back in the ‘90s, you were making fan-video Doctor Who productions, so this is just the next step? I wanted to talk about your work as a voice artist, as you are known for Dennis the Menace and Tree Fu Tom. What is it that appeals to you about working in that medium? Is it just a case of using your voice or is there great physicality in being a voice artist? “I’ve always loved doing voice work. When I was very young, I did a spoof of a radio show with a friend of mine, and we both ended up as actresses. I’d just started doing voiceovers when I got pregnant with my first son, and it seemed at the time like a really good way to combine being a mum and carrying on working. And I really enjoy what I do. In terms of physicality, it depends what you’re doing. “For example, I’m doing an audio book at the moment, and you can’t be physical doing an audio book because it makes too much noise and the microphone is incredibly sensitive. But for something like Tree Fu Tom or an ensemble recording, there is a greater degree of physicality that you can bring to it. I reckon all the Doctors have that about them. Presumably acting opposite Sylvester in a recording book, he doesn’t stand still? Obviously, you have never really stopped playing Ace. Many of the old companions look at the new parts given to the companions and feel, ‘We’re so envious.’ But presumably you don’t feel that because you were a companion who had backstory and you were given character development? “I look at the companions now and think, ‘Wow! This is great because Ace paved the way for these women.’ I was incredibly fortunate because in the script editor at the time, Andrew Cartmel that was what he was bringing to Doctor Who, this relationship between the Doctor and the companion which had not really been explored to such great depth. And you could have gone back in The Sarah Jane Adventures if things had been different? Now your eldest son is a teenager and brings friends round to the house, do you ever look at them and think, ‘I’ll nick that for Ace! I’ll use that’? “Well, actually, he’s a very boringly lovely teenager and so are his friends. There is not the angsty stuff. But it is a completely different world for teenagers now with technology, so it would be a very different kettle of fish now. Last year there was an exhibition of photos of you from the Eighties when you were being Ace. Do you ever look back on photos of yourself and think, ‘Damn, I looked good!’?